Imagine a disease that is so harmful, it’s killing 44 Americans a day; yet most of the people suffering from this disease aren’t receiving treatment. You’re likely thinking it’s heart disease or cancer, but in truth it’s another type of illness entirely. Forty four people per day die from an overdose of prescription painkillers, and countless more survive a dangerous overdose. Prescription painkillers aren’t the only narcotic killing people, but there’s so much death from drug abuse that the CDC can’t or won’t quantify it as one single statistic, and instead break the stats down by specific drug used. 1. Implement prescription drug monitoring programs (PDMPs). These institutions monitor the folks who are taking painkillers and the health care providers who are prescribing them. Of course, for the addict, these methods do little to help him. He’s already addicted, and because of that he’ll continue to use. What can save him? The best solution is to attend a drug rehab program, which will give the addict the tools to build a life “rooted in sobriety.” Addicts will participate in activities that can help them outgrow their addiction. For families concerned about a loved one’s participation, many locations invite family members to receive counseling alongside the addict for more effective communication moving forward. One of the biggest reasons drug abuse continues to cause harm is that it’s left widely untreated. It doesn’t get the same attention as other illnesses; in fact, there are many stigmas attached to drug abuse. The National Institute on Drug Abuse warns that some people won’t get treatment because of stigma, and they may face discrimination. For example, some doctors refuse to treat addicts and some pharmaceutical companies won’t develop new treatments for them. It’s important to acknowledge that drug abuse exists and addicts shouldn’t be marginalized because anyone could be an addict. 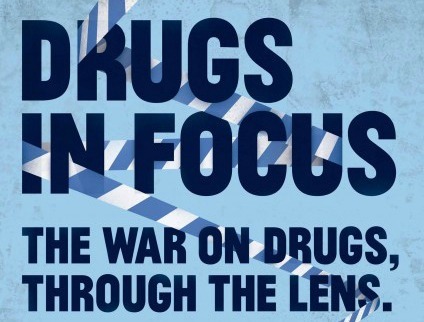 From high-powered CEOs to fast food workers, drug abuse does not discriminate. Both women and men can be addicts, as well as people of all races. In an effort to turn this problem around, it’s essential that all people consider the root cause of drug abuse. Prescription painkillers are often abused because they were used to treat an injury or illness. They’re highly addictive, and once the injury is healed the addict has not healed and the drug abuse continues. Sometimes, the issue is economical or the drug abuser is looking to self-medicate mental or physical pain. Additionally, teens are aware of available drugs and sometimes peer pressured into using. Treatment for the addict and for the community as a whole is necessary to best this issue. No one wants to lose a loved one to drug addiction and overdose, but it happens many times per day. In an effort to keep these individuals alive, it’s important everyone understands the value of a comprehensive plan to rid drugs from the streets.